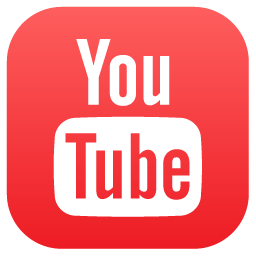 Categories: All Americans, Best Sellers, Introductions, Most Popular. This award-winning variety does just what you want it to do – it grows well, has excellent foliage, and, of course, plenty of gorgeous blooms. One of our own introductions, a favorite of garden visitors and past customers. Consistently at the top of the Popularity Poll and was runner up for the Stout Medal. Chosen as an All American Selection and was featured in Better Homes and Gardens as an Editor’s Choice. Winner of the Lenington All American Award for varieties that perform well around the country and the Award of Merit. After I ordered these I wasn’t able to plant them right away because my move to a new home didn’t go as planned. They sat in a garage for 3 weeks before I got them in them in the ground. And after planting I barely watered them. I know daylilies are tough but I didn’t expect these to live. But they are doing amazing! No blooms yet but I’m in zone 4 and didn’t plant till June so I’m not expecting any till flowers till next year. Plants look healthy and are full of thick green leaves. Amazing! 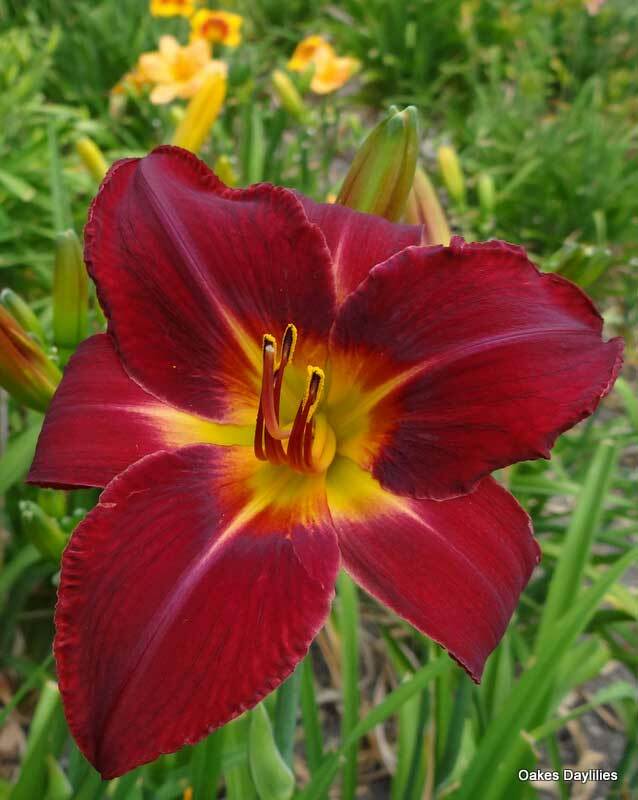 Red Volunteer is a beautiful daylily. I planted it last fall and it was full of big gorgeous this summer. I really love it. I received Red Volunteer in late April. This was my first order from Oakes Daylilies. 1. I was so impressed by the number of fans and condition of the plants on arrival. 2. By July, I had four blooms, which I didn’t plan on any blooms until next season. I was so impressed by the red coloring and sturdiness of scapes. I planted Red Volunteer in a south facing sunny location. The red coloring did not fade. I am in zone 6. It’s Aug 4th & I thought it had finished blooming when the last bloom faded two weeks ago & the proliferations started growing! Nope, another scape with many buds is growing up right now! I’m tickled! I’ll be able to enjoy more blooms this year and have several more Red Volunteers next year which couldn’t be better. A very lovely daylily! The first time I laid eyes on this daylily was at the Owensboro Botanical Garden. It lined the both sides of the walkway to the Visitors Center. I was blown away! Had to have my own. This one never fails never disappoints. Big Beautiful Blooms in profusion. Very long bloom time in the richest red imaginable. Plus it gives you the bonus of proliferations. My very favorite daylilies out of 62 (and counting). I ordered Red Volunteer last September and it started blooming the last week in June. It has several scapes and many buds. It is absolutely beautiful. This is a must for everyone that likes a beautiful red..I highly recommend Red Volunteer and give it a high five. The first time I saw this daylily it was lining the approach to the Visitor Center at the Botanical Garden in Owensboro. I was blown away, could not count the number of huge true red blooms. Had to have one myself. Planted in the fall and come June it had several flower scapes. Last summer was very wet. It kept on blooming, then rewarded us with 15 proliferations!! Now that is like a gift from the gardening fairy. This is my favorite daylily. Cannot go wrong here. Red Volunteer is one of my personal favorites! You can’t beat the rich red blossoms that stay gorgeous all day long! And I have to say that Yamei Liu’s photo in the 2016 daylily photo contest is absolutely one of the most stunning daylily photos I’ve ever seen!!! Congratulations to you on your outstanding photography! I got this daylily from Oakes in 2008 and planted it on the south side of my house. I decided to grow daylilies because deer, elk, and rabbits leave them alone. It has been vigorous from the first year with tall leaves that stay green all summer, and puts up multiple scapes, with many huge red blooms on each scape. It blooms for at least month from mid June through mid to late July. It now covers an area of approximately 5 feet across the front of the house without having been divided. 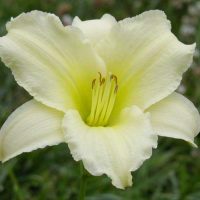 If you want a daylily that thrives in really tough growing conditions, (hot and dry in summer and cold and dry in winter, lots of wind, clay soil), and is beautiful to boot, this is it. 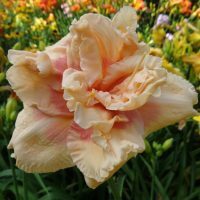 Interestingly, that was my first year of investing in daylilies, and I mostly ordered peachy varieties that were fragrant. 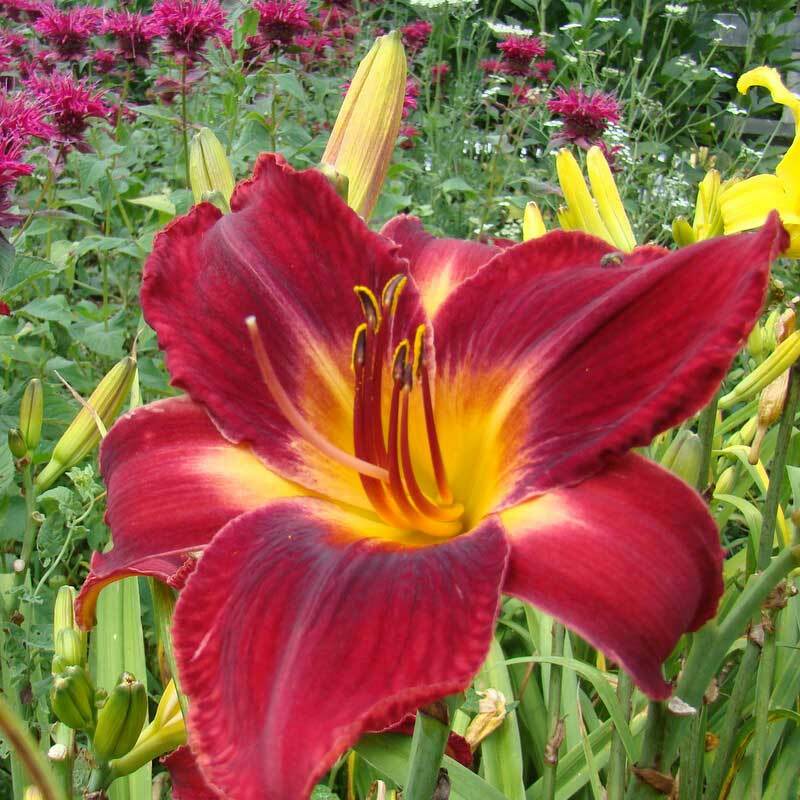 But out of all the daylilies I ordered that year, Red Volunteer and Wayside King Royale turned out to be my favorites and are still at the top of my list. A striking, rich red daylily that is very hardy and established itself magnificently during their second summer here in central Illinois. 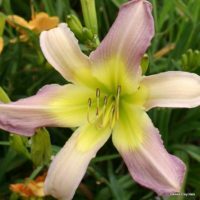 They are just going wild – my favorite daylily! 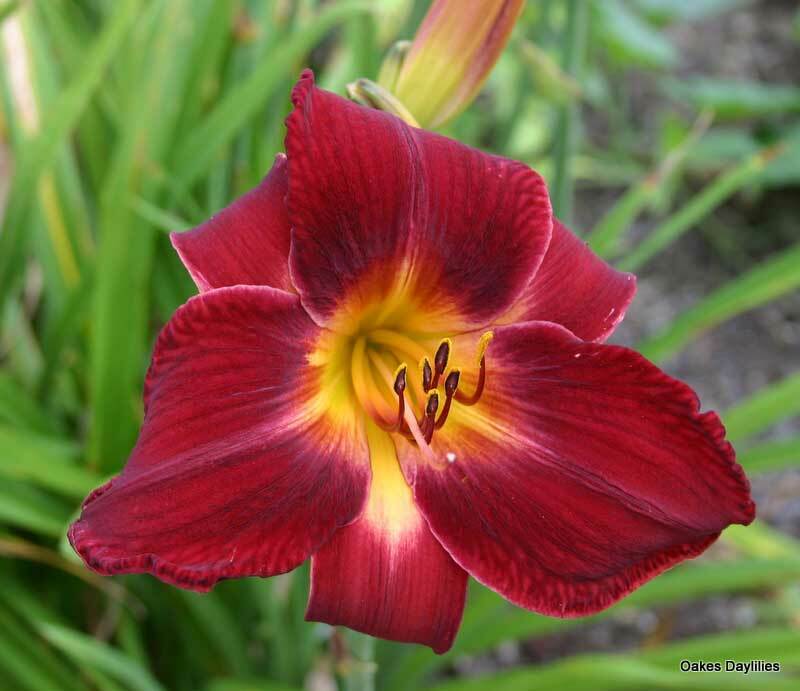 Yes, this is also one of the best daylilies in my collection. It loves the central Florida heat and it blooms non-stop in June for 3 weeks. The big surprise is that my Red Volunteer re-blooms in late July. It has done this the past two years and it is about to boom again! Today is July 23. Even the seed pods are huge! Such a striking flower. This was a ‘bonus’ plant from a gift that was sent to me, and I’ve been ordering from Oakes and their sister company since. I have so muchmyellow and peach lilies, that the huge red flowers really make a statement. 10 stars all the way. I absolutely love this daylily. 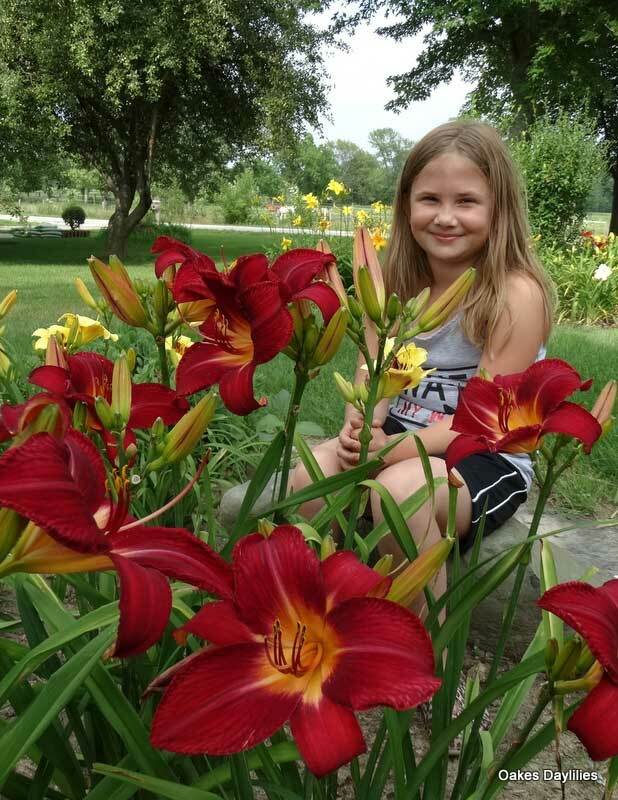 You will never find a more beautiful red daylily than Red Volunteer. Here it is mid-June and this daylily is still blooming and more buds are coming. Even living on the Gulf Coast with the Texas heat this flower doesn’t fade to pale. Just beautiful is the only way to describe this flower. While I tend to say that whichever daylily I’m looking at is my favorite, to be honest, Red Volunteer is my all-time favorite. The rich, red velvet blooms hold up to the heat, the sun, the rain, and it is so prolific. It was the very first one I ever bought, and it just turned me on to daylilies. I have divided it so many times, and it also has produced proliferations that grow quickly and bloom just as profusely as the parent plant. You have to love it! My Red Volunteers are the most prolific daylilies in my collection. Tons of blooms since the first of June and still producing. 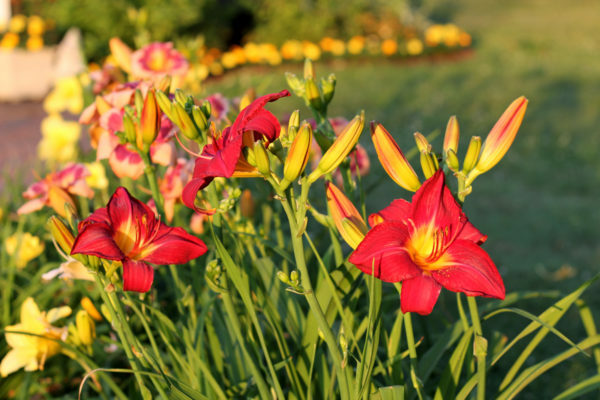 This variety has to be the anchor of any daylily garden. You won’t ever regret getting this red beauty. This is my favority daylily by far. It blooms nearly all summer in my garden. Very showy. I’ve divided it twice and it continues to grow. 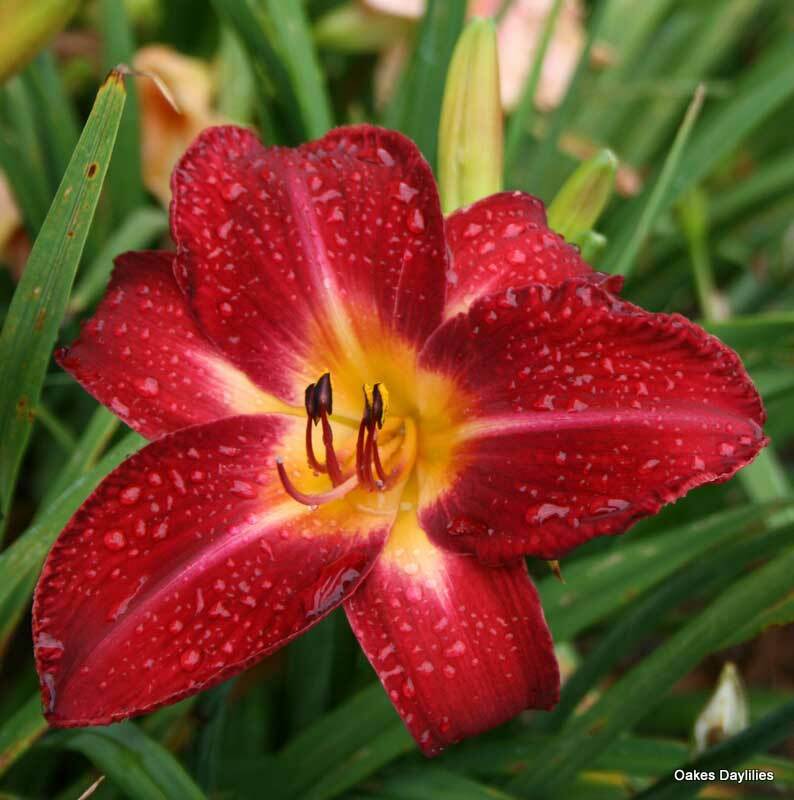 If I could only have one daylily, it would be Red Volunteer! 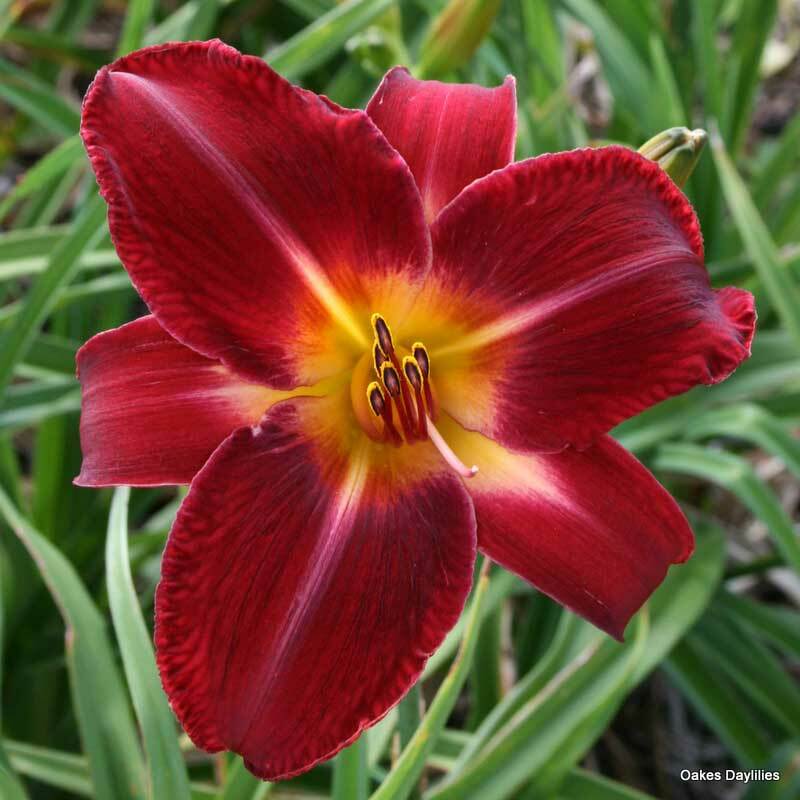 All of my daylilies come from Oakes and they are all beautiful – however, the Red Volunteer is my favorite, by far! The rich, bold color stands out, commanding my attention towards its’ gorgeous face and it makes me smile every time! This flower is hardy and keeps blooming and blooming. I would heartily recommend this flower to anyone! This was one of my first daylilies and is still my favorite. Some red lilies fade in full sun but this one holds its color and shape all day long, on the West side of the house with NO shade. It is near our entrance so visitors must pass it and most people ask about it. It also forms clumps quickly and sends up lots of scapes. Each of my clumps boasts 8 scapes and they are full of buds. I have eight blooms on one clump today and 5 on the other. You can’t go wrong with this daylily. It’s easily a 12 on a scale of 1-10! This is a real eye-catcher! Deep crimson blooms with with streaks make it really stand out! Many large blooms on each scape make it one of my favorites. Received this one as part of a mixed order could not beleive you included this one,the best red. A real beauty. You’ll love this lily, it’s red color is the best I’ve seen and a true eye catcher in my garden. I just planted it this spring and I didn’t necessarily expect it to bloom, or for the blooms to be full-sized. But, even though the foilage was still small, it sent up 2 thick, tall scapes (taller than any other daylily I have) and now it is blooming like crazy, and absolutely beautiful. I’d seen photos and read good reviews but you really have to see this one to believe it. It really is stunning. I planted this daylily in the heat of last summer and waited all winter and spring for it to bloom. It was well worth the wait. Absolutely gorgeous! Deep velvety crimson – thick stems – lots and lots of buds and excellent increase. 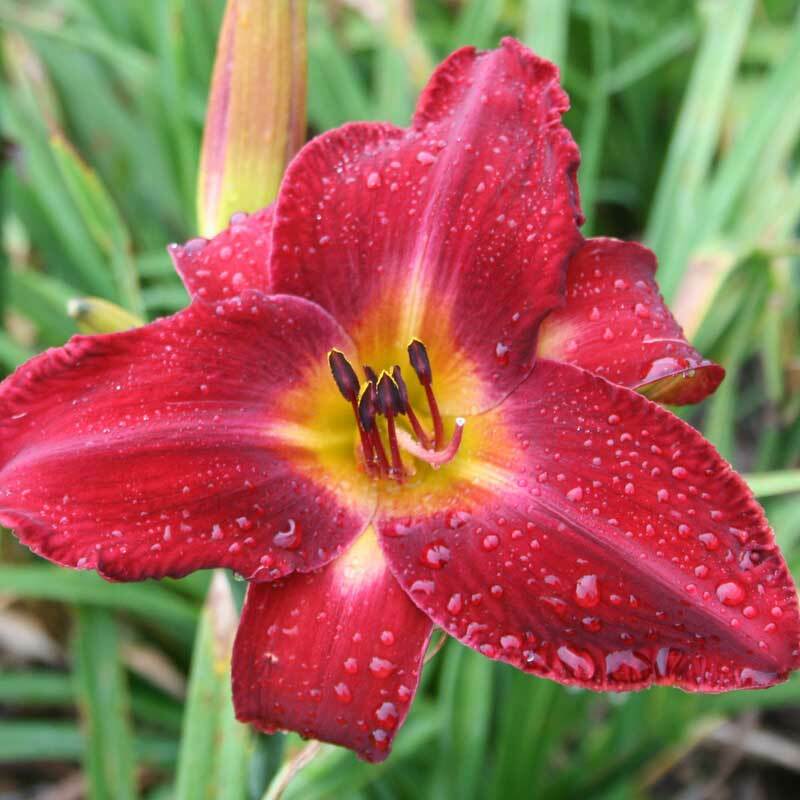 If I could only grow one red daylily, this would be it! There’s really nothing left to add. These are incredible. Worth the wait! Planted in part sun, under a pepper tree, in March, 2008, did not bloom until June 2009, but spectaclular when it did. The red is deep and does not fade; the white rib in the center of the petals shows to good effect, and we have had neighbors stop and admire several times. Have not seen as beautiful a daylily anywhere else in Las Vegas – certainly not at the nurseries. A real stand out in any garden, and a prolific bloomer. Inspires awe…so beautiful, it is all that I had hoped for! Red with white ribs easing down the center of the petals – it takes your breath away! This daylily has moved with me to three different locations and has thrived beautifully each time. The blooms are vivid and eye-catching, with my neighbors all asking “what is that?”. It remains one of my very favorites. This is a must have for the garden. It will be noticed anywhere it is planted. Besides having such a vivid red color (which does not fade in the sun), the blooms are huge. I gave a start to my neighbor because she fell in love with it. Her daughter saw it and is now waiting for her own start. She won’t have to wait very long. This is a strong plant that makes large clumps after it establishes itself. Wow! This is such a gorgeous red! It’s solid and sturdy and the petals look like rich red velvet. I am always impressed with the quality of your bulbs, but this one should make you especially proud. It is absolutely stunning in the garden with its big bold blooms. 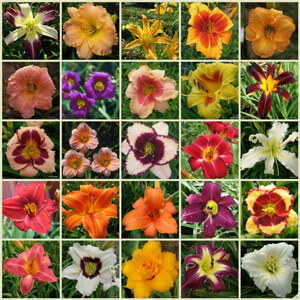 I plan to order more of the Oakes’ created daylilies from now on! 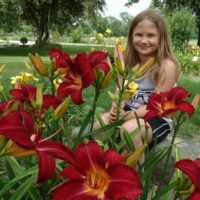 This is absolutely the most amazing daylily I have ever grown – my #1! It’s a wonderful vivid red, very fragrant and not fussy. Mine is blooming like mad in semi-shade and never fails to draw me all the way up the hill to stare in awe at it and get my nose dusted with pollen. My advice – plant this one right outside your door for maximum viewing pleasure! WOW! Planted in fall of 2007, bloomed like crazy in July 2008! I counted 12 buds on one scape! The flower is huge and such a bold bright cherry red. Absolutely fabulous! Planted three of these daylilies in summer of 2007–cannot believe how much they have already multiplied! Received the first bloom on June 13, 2008—the next day there were 4 blooms and plenty more buds yet to bloom. The color is a deep rich red and is perfectly gorgeous in form. The fans are large with beautiful greenery–not raggedy. Glad to have this beauty in my garden! This lily blooms over a long period and spreads to allow divisions. Mine is lighter red with the white veins extending farther down the petals. It is still a very reliable and pretty lily. Especially looks pretty tucked in with greenery. Bought this daylily based, solely, on the raving reviews. AND, they were right! 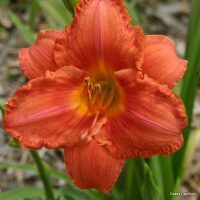 This is a superior daylily with stunning color and a prolific bloomer. Liked it so much that I bought another for a different bed. Can’t imagine a daylily garden without one. This is ONE of the most beautiful daylilies I have gotten from you and I have many in my garden. I have it planted amongst Yellow and Orange ones and it is gorgeous. I hate telling people where I got it from because I don’t want them to have it. Red Volunteer has been a wonderful surprise. I put it in a pot in June 2005, and it started blooming right away. This year it’s amazing, with profuse brilliant red blooms starting late May. (Northern California, Sunset Zone 15). Red Volunteer is a 10. My wife and I remember this daylily during the cold days of winter. We wait for its return in early summer. Much like Auburn and Tennessee football in the autumn,there is no substitute. It stands on it’s own. What a great daylily! This fabulous red blooms freely in my garden in Virginia, despite being in quite a lot of shade below a large pine. It is even more gorgeous in my mother’s garden in Pennsylvania, blooming extravagantly in terrible, heavily compacted clay. Can I rate this one a 12 or a 15? I have Red Volunteer in my west border, my back yard and my east woodland garden. It performs in sun, in shade, with an excess of moisture, with a shortage of moisture….anywhere, anyway at all! This one’s a superstar. The color is a gorgeous blue-red, not orange-y at all. I not a big fan of red, but this daylily is incredible. The size and color are beautiful. It’s planted next to Mary Todd and they look wonderful together. It doesn’t get much better than this! This variety has huge gorgeous blooms. The red color makes every thing come to life in my garden. Highly recommemded! 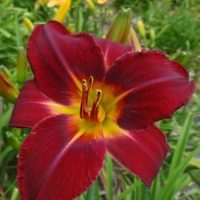 Red Volunteer was the first daylily I purchased. It’s performance is outstanding. No other red daylily surpasses it. The petals are almost like velvet. Abundant bloomer for 3 years! Absolutely breathtaking .. one of my very favorites. I plan to divide it this fall to give ‘pop’ to a couple of other places in my gardens. This statuesque, red daylily has been the backbone of my daylily garden for 3 years now. Each of my plants produces several scapes which are tall and strong and easily able to support a good number of quite large blooms, even through the heavy winds of summer thunderstorms. This is a lovely plant, especially in multiples. Red Volunteer has been in my garden only one year, but is already a favorite! It bloomed beautifully even it’s first year, and was a real show-stopper! I had strangers, driving by, stop to ask which variety this is. This one survived our intense summer heat, and our drought of last summer very well. I look forward to this one blooming again this year! 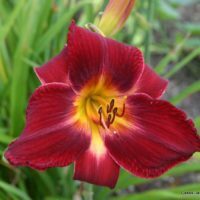 This was one of my first daylilies, before I knew anything about them, and it is still one of my favorites. It always blooms well, no matter what kind of winter or spring we have. It’s a big, dark, heavy red that holds up well all day long, even in Southern heat.